Grab yourself a tasty King Pot Noodle for those moments when you are feeling even hungrier! Try the UK's No.1 instant Noodles in a Curry flavour sauce with vegetables and a little sachet of mango sauce. It's easy to make and only takes 4 minutes, so even if you aren't a master chef, you can make it. 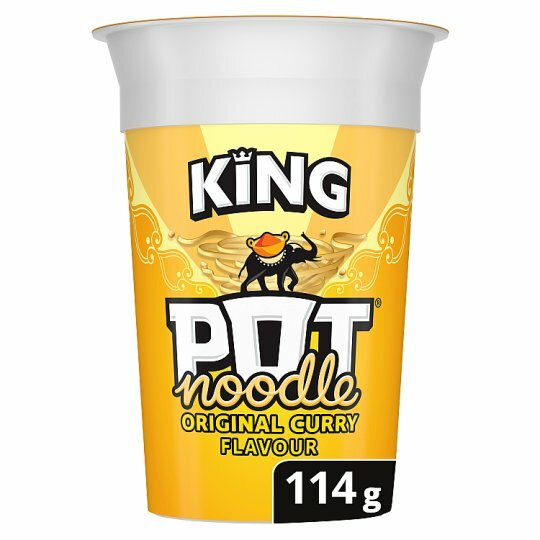 Quick, convenient and delicious Pot Noodle in a King size version for King size hunger. Less time cooking, more time chasing your dreams... Enjoy! Have you tried Pot Pasta?